When one of my closest friends from high school was pregnant with her first child, I can recall a phone conversation we were having about her recent baby shower. "There's such a difference between the gifts that came from moms and the gifts that came from people who don't have kids!" She marveled. Mmm-hmm, I agreed. That's because moms know what stuff you actually need. She laughed and went on to tell me about how one mom-friend of hers had wrapped up a bucket with her favorite stain remover in it and added a note saying that it would come in handy for soaking clothes after spit-up or poop accidents. I told myself I'd remember that one. It was definitely practical. So lately when I come across posts online from pregnant women and new moms all asking for advice on what to buy for their baby, it makes me stop and think about what the essentials truly are. The must-have, can't-live-without-it, don't-waste-a-minute-missing-it type of products that are the most important for moms, babies, the nursery and more. And who better to help me come up with that list than HALO Innovations, the company fully committed to providing a healthier and safer sleep environment for children of all ages? Having been introduced to their innovative products last year with a HALO giveaway and knowing how much this company is an expert on the true must-have products for babies, particularly safe ones, I knew that they would have some great insight into what new moms actually need. Not a bad list at all! 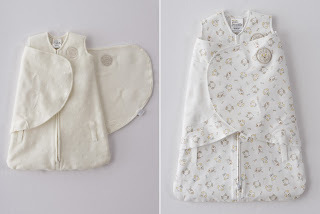 As I'm someone who tends to consult the new mom's gift registry and then narrow down what she has chosen to the items that I think are ones that are sensible (while also hopefully being cute), many of these would fit the bill. But, of course, being that HALO is the leader in all things SleepSack, it's hard to overlook just how appropriate their products are for gift-giving. In fact, their already-amazing SleepSack Swaddle has been nominated for a Cribsie Award in the "Best Sleep-Inducing Swaddle Blanket" category, an award that this product definitely deserves. 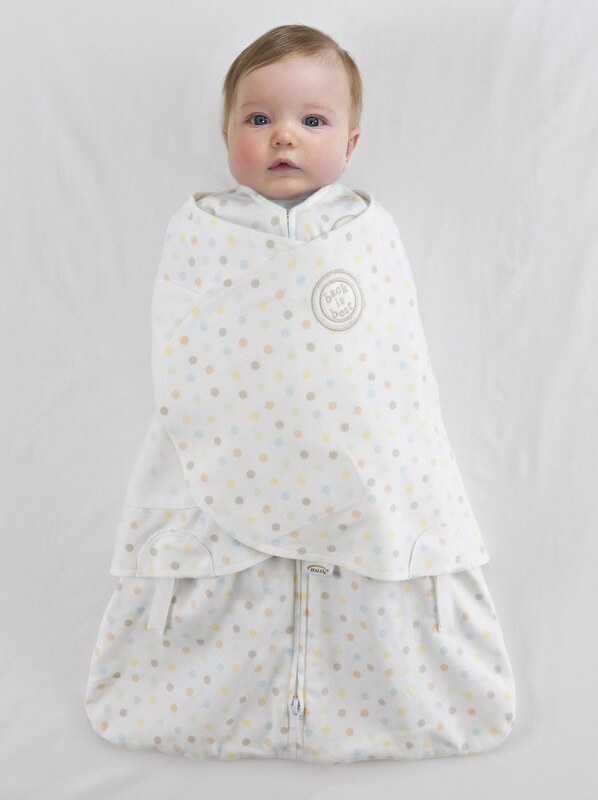 Available in Target stores, the SleepSack Swaddle is the only product to carry seals from leading SIDS organizations in both the U.S. and Canada. 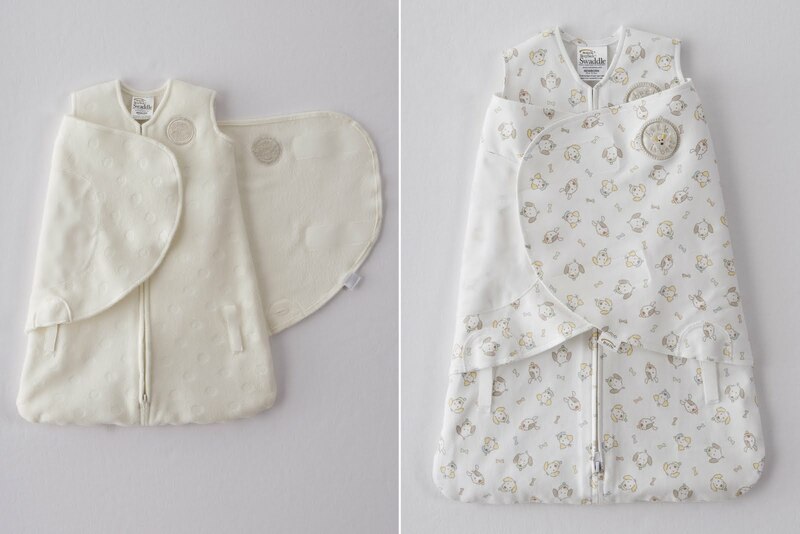 I love that it not only replaces loose blankets for safer sleep while keeping your baby warm, but that it incorporates the adjustable, removable swaddle feature as well. 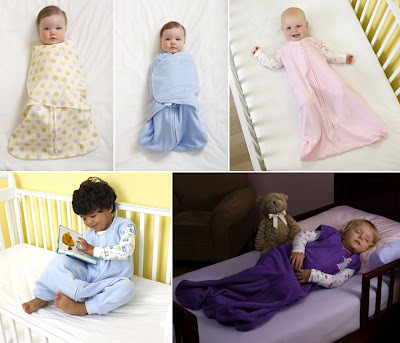 As we used both sleepsacks and swaddle blankets when my girls were younger, being able to have both incorporated into one would have been great. Plus, with the high quality and durability that HALO is known for, I have no doubt that we would have utilized it with both kids and then still passed it on for even more use! 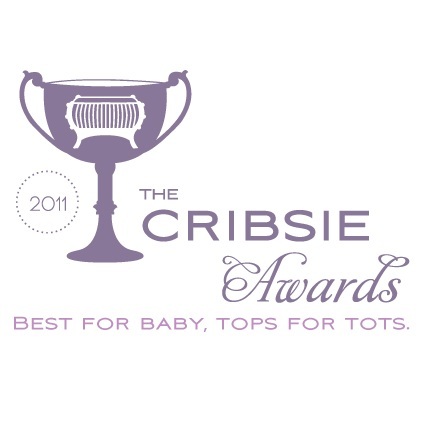 Be sure to head over to the Cribsie Awards from now until March 18th and get your votes in! One lucky person will win a SleepSack Swaddle (available in sizes newborn and small) from HALO Innovations! ARV $26.95! To enter to win: Tell me your favorite baby shower gift (whether to give or that you received or are hoping to receive). 1 Extra Entry (per method) if you follow HALO Innovations on Twitter and/or Like them on Facebook. Giveaway will end on March 25th at 11:59pm CST. Do me the favor of leaving an email address or making absolutely sure it is visible in your profile, I have to have a way to contact the winner. The winner will be chosen by random.org and announced here as well as emailed and will have 48 hours to contact me or respond to notification or a new winner will be chosen. This giveaway is open to residents of the U.S. and Canada only. 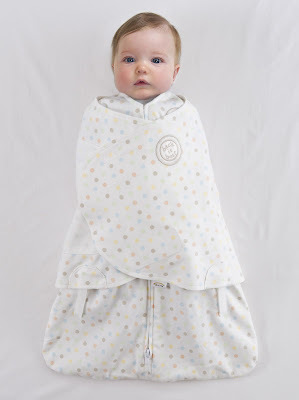 A big thank you to HALO Innovations for providing a HALO SleepSack Swaddle for one lucky giveaway winner. The opinions shared are my own and honest and if you really need to see more, click here to see how I roll. diapers! lol. Always needed and a lot of baby showers I've been to not many people got them...(to give to someone) For me I just wish people would follow the registry since I *know* what I need. A couple of well loved board books. I love to give sleepsacks! Also, I love to give baby toys for young toddlers b/c then in a year or 18 months, the new mom will feel like she has something still new to pull out and use! I like to give a cute outfit and some diapers for baby shower gifts. I also entered your hot wheels giveaway. I entered the Bag holder/outback giveaway. Entered the Popcorn factory giveaway. A first class baby carriage. While the cute clothes are nice to get at a shower, I'm hoping for very functional things. I'd love to get to shop for the fun stuff myself! I entered the Hallmark Recordable Storybook giveaway. I entered the Infantino Changing Clutch giveaway. I entered the Tanga giveaway. I entered the Snazzy Baby Deluxe giveaway. My fav. gift to give is diapers. a handknit blanket from my mom-it got so many oohs and aahs. my favorite baby shower gift (so far) was a months worth of diaper service! i entered your raisels giveaway! My favorite thing to give are diapers! I have a friend who gave someone a big box of frozen meat for her freezer! I thought that was the ultimate of practical! I asked for a couple Halo SleepSacks for my shower! I like to give diapers and wipes, or a handmade baby blanket. entered the Blushing Dove g/a. entered the Mars Needs Moms g/a. My favorite gift was the bouncy seat I got from my parents. I have entered the Hallmark giveaway. I have entered the Chili's giveaway. I have entered the Fake Bake giveaway. I have entered the Mars Needs Moms giveaway. I have entered the Blushing Dove Boutique giveaway. I have entered the NOVICA giveaway. entered the strawberry earrings giveaway. I love giving diaper cakes! Like Halo Innovatgions on Facebook. I love to give and receive unique items. Lately I have been into giving amber teething necklaces and smart mom jewelry!